Located on six acres of lush San San Estate, the property extends from the foothills of the John Crow and Blue Mountain chains to the Caribbean waterfront, thereby connecting a palette of greens to vibrant hues of blue and turquoise. Within immediate proximity is Frenchman's Cove and the equally enchanting Blue Lagoon, Geejam sits tall amongst several other stunning beaches. A ten-minute drive west will find you in the historic town of Port Antonio, the capital town of the parish of Portland, located on the northeast coast of Jamaica and shrouded by the Blue Mountains. Home to the Errol Flynn marina, it boasts a thriving hub of local culture, with a varied nightlife, including Ska bars, Reggae sound-systems and nightclubs. Also within easy reach are excursions to the cascading Scatter, Reich and Somerset waterfalls. A day's rafting being a must at one or more of these extraordinary natural wonders. 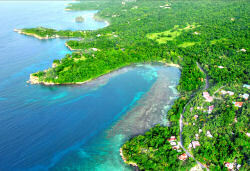 Geejam, an 'uber luxury' insider escape, is located in San San, close to Port Antonio, in the parish of Portland, on the pristine shores of north-east Jamaica. While blending all the creature comforts of home, it's very much a portal into authentic Jamaican culture. Nestled in the heart of the bush, this Island Outpost property's newly appointed seven double rooms, consist of three deluxe cabins, one suite, and a self-contained three-bedroom villa. Also included are a state of the art Recording Studio, Healing Spa, Swimming Pool, Gym and Bushbar, forming an exclusive universe within the natural beauty of the grounds. Recently nominated by the Jamaican press as one of the "top ten most fascinating places to hang out", the Bushbar follows the overall Geejam mantra of a grassroots approach to relaxation, restoration and reinvention. Achieving a stylish equilibrium between ultra modern technology and the intrinsic grace of the natural island landscape makes this the Geejam signature trademark. The ongoing mission is for Geejam to continuously develop into a unique, creative retreat for like-minded world citizens whose background in the spheres of music, film, fashion and photography are interconnected through six degrees of separation. All our guests have a common creative thread, whether they're based in New York, Paris, London, Berlin, Rio, Buenos Aires, Moscow, Copenhagen, Tokyo, Hong Kong, Sydney or Kingston. Acting as a concierge for this 'in the know collective', Geejam is an epicenter where their worlds collide and unify. From the moment you touch down on Jamaican soil, Geejam's 'concierge' service is on hand to assist you with your every whim. Not only there to attend to your transportation, all logistical needs, and general level of comfort, this total attention to detail extends throughout your trip, even up to your point of departure so that should you decide to change your itinerary, it will not be a problem. 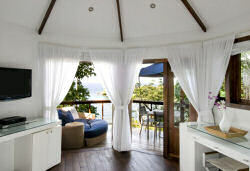 Geejam can accommodate wedding celebrations as well as romantic retreats. The elegant setting and attention to detail make any occasion personal, memorable and utterly distinctive. Customized menu planning is available upon request. 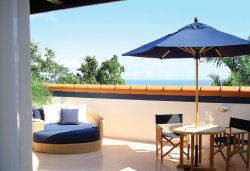 Advance bookings for the entire estate are also available.